In almost all countries around the world, women are more religious than men. For example, in the United States, there’s a significant 12 percentage point difference between men and women when it comes to religiosity. 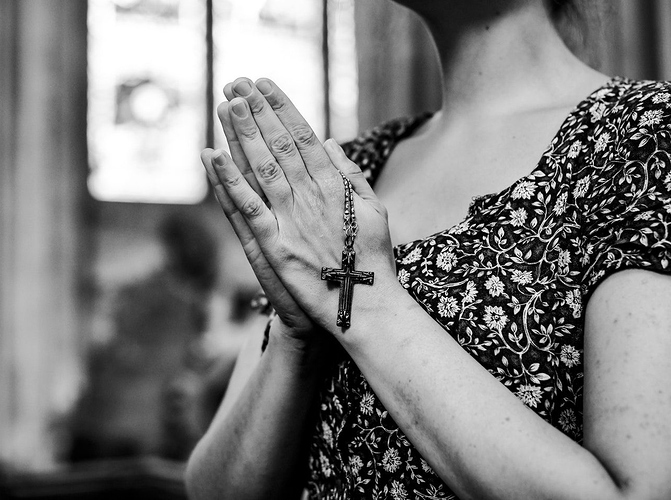 A new study published in The Journal for the Scientific Study of Religion suggests that there’s one key factor with regards to the difference in religiosity between men and women. According to study author John P. Hoffmann, a professor of sociology at Brigham Young University, it’s because men are more willing to take risks. The study used data from data from several surveys completed by more than 20,000 people, analysing their risk-taking preferences and demographic information. It’s not the first time Hoffman has put forth this theory. In 1995, he argued that “once preferences for risk are considered, the well-known gap in religiousness between females and males dissipates.” Yet he wasn’t able to replicate the results until this most recent study. In his new study, Hoffman examined data from the 2015 Monitoring the Future study, the 2010 National Survey of Drug Use and Health and the 2005 National Survey of Youth and Religion. In total, these sources recorded the risk preferences, demographic variables and religiousness of 22,745 American adolescents. Comparing the data revealed that in general, men are more willing to take risks than women. Yet when risk-taking was used as a control variable, the differences in religiosity between men and women almost disappeared. What else may explain the religiosity-gender gap? Most explanations will fit either with a “nature” explanation or a “nurture” explanation. It’s difficult to come up with a definitive answer to the question of why women are more religious than men. Perhaps we need to be comfortable with not knowing, while continuing to explore the question why people are religious in the first place. Religion addresses the unknown. Arguably, those who are deemed religious (however that may be measured) may be the greater risk-takers. The fact that it is women and not men who bear children, it seems to me, speaks to women’s greater tolerance for risk. Personally, I have not seen evidence in my life for the claim that men are less religious than women. The Pew Study states: " Based on these wide-ranging and comprehensive datasets, this study finds that, globally, women are more devout than men by several standard measures of religious commitment." I submit that belief, in my opinion the true manifestation of religious devotion and commitment, defies measurement. It is obvious! Woman are more intelligent and creative than men. I think this sort of categorical generalization is bigotry. What are you talking about? What generalization? “Woman are more intelligent and creative than men.” This is a generalization. And it just as bigoted as saying that any group in inferior to another. Let the people of the world vote on that, are girls better than guys? Granted there may be more guys but a lot of them will vote for the girls to respect their wives, therefore, girls are best. By vote.